Looking for a versatile accessory? It's hard to beat our high quality colorful chiffon scarves! Guaranteed to complement your favorite poodle skirt, how you wear your scarf will be up to you. 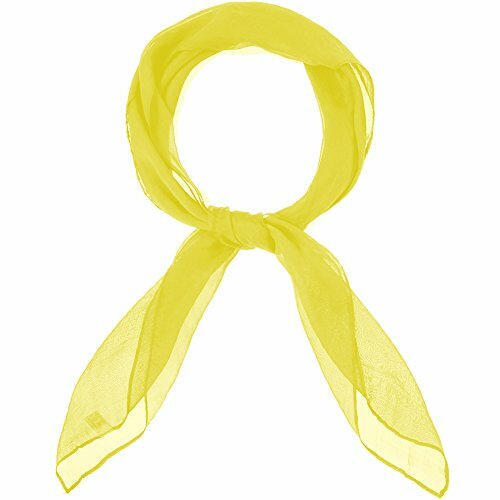 They are perfect for tying around a ponytail, using as a neckerchief, or dressing up your bouffant with a color. Retro accessories for womenThe vintage scarves goes great with the poodle skirt or blouse or glasses for retro event. 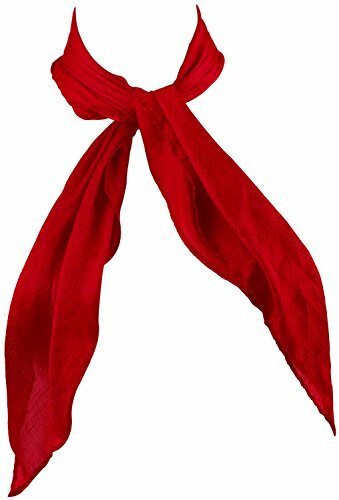 It's a real 50's lOOK!Tie one around your neck, or use it to pull your hair up.This fashion scarves folds beautifully into a square for easy storing and keep from unwanted wrinkles.Great gift for your friend and your lover. 100% RISK FREE PURCHASEKeeping you pleased and providing you with the friendliest customer service is our priority. This is why we offer you a 90 days money back guarantee in case you are not completely satisfied. Please allow slight color variation due to different monitors. 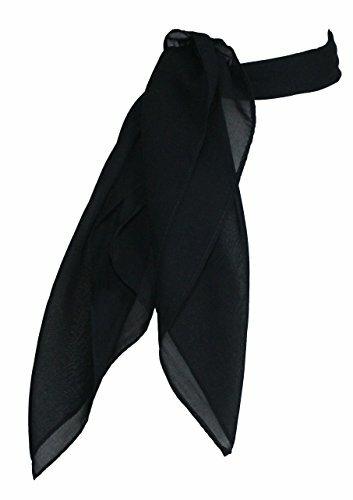 Chiffon scarf square handkerchief satin ribbon scarf for women girls ladies, 23.6 by 23.6 inch Wide range of usage: This set of solid colored is simple and general, you can wear them around your neck, head, waist, hair, as well as around your hat or handbag, etc., thus can make your items more special. Specifications: Side length: 60 cm/ 23.6 inches Material: polyester Colors: black, red, pink, orange, purple, etc. 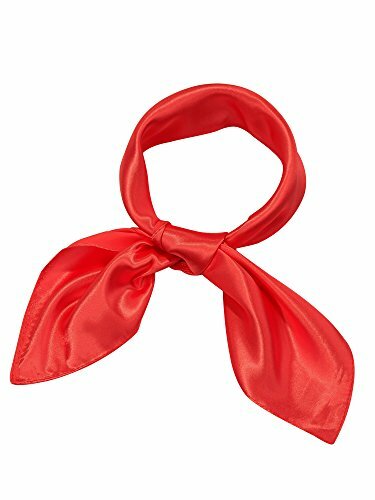 Quantity: 1 piece Package includes: 1 x Chiffon scarf Note: Hand wash below 30 ℃ water is recommended, if you want to wash the scarf in a wash machine, please put the scarf in a washing bag, avoid the scarf entwined with other clothes, ironing on low heat is accepted. Please check the color before purchasing. Please allow slight color variation due to different monitors. If you have any problem, please contact us immediately. 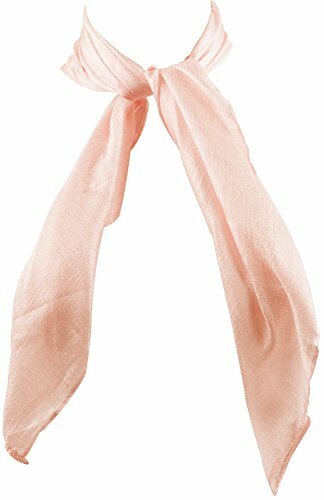 Comfortable to wear, silky like fabric, not itchy; large and big enough, great additions to your collection of fashion accessories. Versatile ways to wear as headband, hair scarf, ponytail scarf, tied on your wrist, handbag, purse and wallet. Lightweight and easy to carry. Classic 50s style, vintage fashion, perfect match with your outfit and dresses, gift idea for your friends and family in holiday and Valentine's Day, Anniversary, Birthday, Wedding, Anniversary, Halloween, Evening, Thanksgiving Days etc. Suitable for cocktail, prom, evening and other formal occasions. 100% risk free, if you have any questions about our product, please feel free to contact us. 30 days for free exchange and return. Quality Accessory Really stunning! 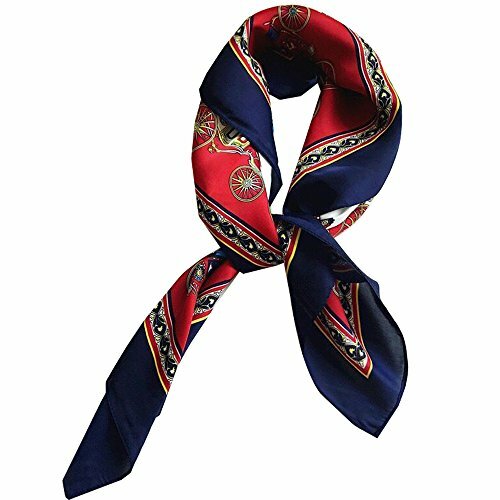 Neckerchief will be perfect when your outfit needs a little something to finish your look. It's semi-sheer but sturdy. Smooth and soft against the skin. Truly a quality accessory. 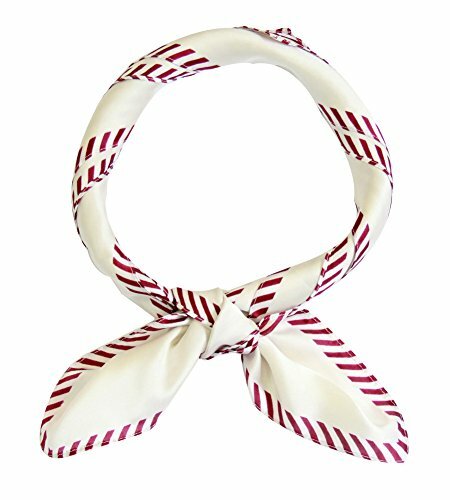 Work perfect for a neckerchief, hair scarf, tying a ponytail, or wrapping your hair a la Rosie the Riveter etc. You can make it short or long. It all depends on how you fold the scarf. Nicely tied to a tote bag or purse. Good square scarfs in attractive colors to match all wardrobe pieces. Bright and cheerful, square scarf ideal for filling in a shirt neckline. For vintage pinup style, it's EXACTLYthe kind of scarf you want. Wash Tips Recommend gentle hand wash and air dry. 100% Satisfied Guaranteed Due to different computer screens, it may have some differences for color. We hope you could understand it. If you still have any questions, please kindly to tell us, we will try our best to help you until you are satisfied with us. Thanks for your supporting. 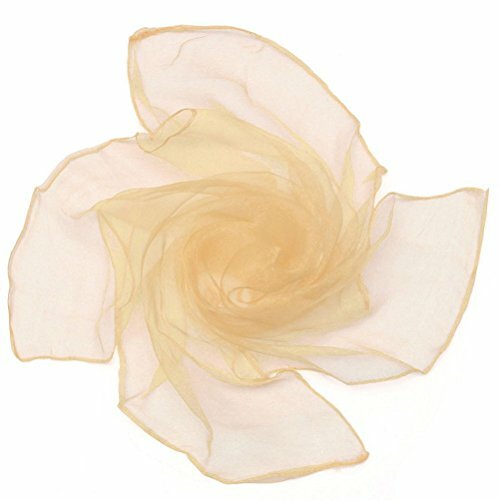 Looking for more Chiffon Silk Square Scarf similar ideas? Try to explore these searches: Gifts Peach, Aluminum Post Mounted Gas Lamp, and i850 Holster. Look at latest related video about Chiffon Silk Square Scarf. Shopwizion.com is the smartest way for online shopping: compare prices of leading online shops for best deals around the web. 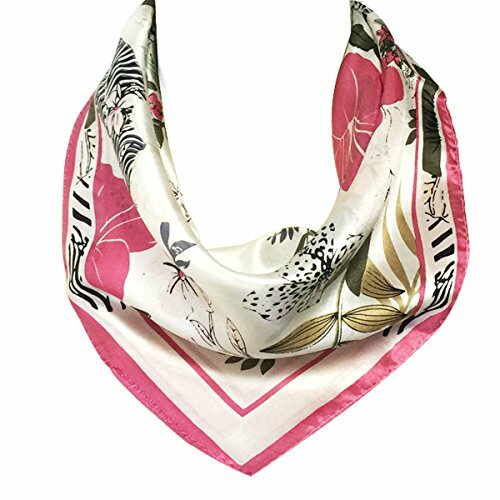 Don't miss TOP Chiffon Silk Square Scarf deals, updated daily.